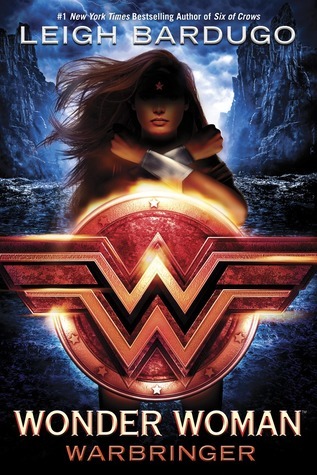 Brittany's Book Rambles: Wonder Woman: Warbringer by Leigh Bardugo Review + Giveaway! Wonder Woman: Warbringer by Leigh Bardugo Review + Giveaway! Honestly, there is no other author that can move me the way Leigh does. She absolutely never ceases to impress. Definitely as soon as you are able—but especially if you are a Wonder Woman fan—you must get your hands on this outstanding book! Every. Single. Time. Even when she writes something that hurts. How does she do this? What is this sorcery? She is just a magical creature typing away on her laptop and sewing up my heartstrings in knots with every word. My god, people, if you haven't picked up any of Leigh's books, you are doing yourself a great disservice, and that needs to be remedied, immediately. 2) Can we talk about all of the sisterhood feels that are quite literally oozing from the pages of this book? I mean, the females in this story are all marvelous in their own right, but the bond that they all have with one another? It's nothing short of inspiring. Honestly, I really wish this was how all women regarded each another. We would all be a lot happier, too. 3) The phrase "strong-female character" has been grating on my nerves for a long time, even though I, myself, have used this in the past to describe female characters. I now realize how wrong I was to ever do that and Warbringer really encompasses why that phrase should be banished from our vocabularies. Renée Ahdieh said it best when she said, "there are so many different kinds of strength. There's strength of the mind, strength of the heart, and we need to give these things equal weight 'cause it isn't good to put these strengths below physicality," and this has stayed with me ever since. Warbringer definitely illuminates this by having women in many different roles, with starkly varying personalities, and with different strengths. Basically, it's reality made fiction, except in the real world, women have to fight to shine. 4) I know I already praised Bardugo for her amazing writing, but there needs to be a separate point solely focused the dialogue in this book because it's extraordinarily sassy and simply ingenious. In my opinion, it's always the dialogue that truly brings the characters off the pages and into our hearts, and that's exactly what happened in this book. I love these characters so, so much. 5) Hell hath no fury like a lady with something to prove, especially if that lady is Wonder Woman. My god, she was fantastic. She was bold, fierce, elegant, and she had a kind heart. No wonder she has been a feminist icon for so many years now. And honestly, I have never given her enough credit, but that all changes now. I really loved reading Leigh's take on this chapter of Diana's life. It was absolutely sensational, to say the least. 7) I really should have been prepared for this twisting plot, but once again, Leigh Bardugo totally shocked and surprised me. What seemed to be a very straightforward story had a twist that I did not see coming. Bardugo is a magician, and she knows exactly how to draw your attention away from the details she wants to conceal, and to that, I say BRAVO! You weren't actually expecting me to have anything in this section, were you? "It's always going to be you and me against the world." "I am immortal and you are a footnote." I always love meeting another MEGAFAN, I pre-ordered mine before I even had the ARC in my hands, because I mean come on, it's Leigh haha. Thanks so much for stopping by! I'm sure I will not be the only positive review as we get closer to the release date. Very excited to read the book! It's really good, I hope you love it! Thank you! I hope you love Warbringer! Good luck on the giveaway! Yes, this book is on my to-read list! August of this year? Too long to wait! Your review has convinced me I need to read this author's books--I love exciting world-building, wit, and writing that will make me feel like you do after reading it. Thank you for this awesome review today! Yeah, it's really far away! You should definitely read all of Leigh's books because they all have exciting world-building, wit, and fantastic writing. Thank you for your kind words and for stopping by! Me too! Leigh is the best! I'm glad that I could get you even more excited for Warbringer! It's so good and I can't wait to see what you think of it! We have such different opinions on DC superheroes. I have always been a huge fan of Wonder Woman and don't love Batman. I'm so glad this was an amazing as I was hoping it would be. I mean how could it not be, it's Leigh Bardugo writing a YA book about Womder Woman. Great review. I was just never a big superhero fan in general, there was just something extra that made me like Batman. Though I have no clue what. And this book is amazing and I hope that you love this book, especially since you love Wonder Woman. Glad you like xD Thanks for stopping by! I mean, duh, of course you loved this book! And of course I'm dying to read this! Wonder Woman and Leigh Bardugo combined. It couldn't get any better! It's a no-brainer, isn't it? I hope you love it! I'm so glad! I hope you love Warbringer! AHHH I'M SO EXCITED FOR THIS!!! I've rarely read a superhero book that lives up to expectations but this?!? THIS IS LEIGH BARDUGO SO WHAT COULD GO WRONG. 😍😍 *flails wildly* I can't wait till it comes out!! Exactly, Cait! I really think that you'll love this book. I'm pretty confident that you'll be fangirling like crazy but I can't wait to see your thoughts. Thanks for stopping by! Thank you! And I can go on and on about Leigh's magicalness, I even had to edit some of it out of this review because it was just over the top haha. Leigh Bardugo is my queen and I honestly can't wait to read her new book! Same, words really don't do justice to how much I love this book! *ORDERS IMMEDIATELY* I was on the fence to read this book but your review made me realize how foolish I am to not just trust Leigh Bardugo. I mean, I LOVED SoC and CK. Of course I will love this book! Wonderful review and thanks for the giveaway!!!! YASSS, you NEED this book Melissa! Trust me. I felt foolish for not trusting her either. You need to read The Grisha trilogy! Good luck on the giveaway and thanks for stopping by! Yay, I'm so glad! Nina and Inej are my favorite too but Diana and Alia are really awesome too. If all of these ladies were in one book, it would just be an amazingness overload. Love your review, Brittany! I'm so excited for Wonder Woman because Leigh Bardugo is Queen!!! Can't wait to read it! Thank you! and yes, Leigh is definitely Queen! I hope you love it! I want a copy of this book so bad. Leigh is a writing master. This review is great and I'm happy you enjoyed the book so much Britt. Thank you so much, I hope you get to read it soon! Of course I loved your review!! Now I'm even more excited for Warbringer!! I wish it was out now, because Leigh will definitely not disappoint. Thank you! Leigh never disappoints. So do I re: doubting it because I was never big on superheroes. I had no problem with them and I do like Batman but that was it. But I should not have doubted Leigh. Everything this woman does is just gold. I hope you love Warbringer as much as I do! Perfect review, Lovely! I'm so glad to hear you loved this one so much! It sounds like a fun one! Thank you! It's fun but definitely has it's tense and dark moments as well. Thanks for stopping by! Sounds like the perfect book for you! Thank you for your kind words and for stopping by! It's so good! All Bardugo fans need to read this book! I can't wait to see what you think! Thank you for stopping by! It's really amazing, and oh my god you need to read Bardugo's books! Starting with The Grisha Trilogy! Anything Leigh does is Golden. I am so excited for her to bring one of my favorite characters to life! I couldn't agree more. I hope you love it! I'm so excited for this one! I've enjoyed Leigh's Grisha books so I'm expecting this one to blow my mind! I hope it will, it definitely blew my mind! Thanks for stopping by! I'm a huge fan of Leigh's books, so I'd be excited to read anything she does next. Her Six of Crow duology is my favorite but I love the Grisha series too. I'm so glad you adored the Wonder Woman one! Me too!! Could you tell? xD I hope you love Warbringer! Hi Brittany. Was a winner drawn yet? I'm so excited!! Hi Kim, sorry I'm just seeing this now. The winner was drawn a long time ago! Yay, I'm so glad that this one is getting positive reviews because everything Leigh is near and dear to me. I hope you love it! I can't wait for this book I'm so excited. I love Wonder Woman and I also love Leigh she's an amazing author. Love the review! Britt, your new blog layout is gorgeous. OMG. I'm mostly new to Leigh, but I love Wonder Woman (As we all should???) though I'm so glad to see you enjoyed this and that it included subway etiquette. lolz. 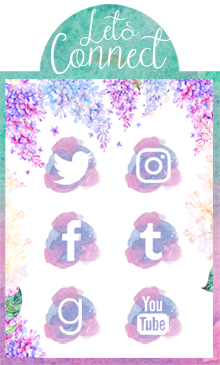 Thank you, I love my blog design so much. AND girl, seriously go read The Grisha Trilogy right now haha. Well you've successfully bumped this one up on the TBR list *sheds a tear for those books that have to wait one more longer to be read* Fun review -- thx! Yay! And don't cry for the other books, they will just have to wait their turn! Thanks for stopping by! The only Bardugo book I've read so far is "Shadow and Bone", the first volume of the Grisha trilogy. Can you believe that?! I NEED TO DO SOMETHING ABOUT THIS!! Bardugo is a TERRIFIC writer!! Proof of that is not only the Grisha trilogy, but the book you've reviewed here. I've always liked Wonder Woman, and now I'm going to SUPER like her when I get this book!! Lol. Oh my god, yes you do! Especially since Shadow and Bone is my least favorite of all her books. You'll love Siege and Storm. That's the book that sealed my love for her forever. I'm glad Warbringer is on your radar, I hope you love it! YASSS THANK YOU SO MUCH FOR THIS GIVEAWAY! I'm SO SO EXCITED That Leigh Bardugo wrote a Wonder Woman book because she is HONESTLY the PERFECT PERSON to bring all the WW Awesomeness alive! I absolutely love your review and I'm SO EXCITED for both the movie and the book! My pleasure! I just want to make sure Leigh's books are out there to all the readers in the book community. I'm so glad that you enjoyed my review and I hope you love Warbringer! OMG! So very happy to see such a glowing review for this book! I cannot wait to read it too! Leigh is my queen! I hope you love it as much as I do! I'm glad you enjoyed my review! Leigh is my insta buy author, so to say I'm excited for this one would be an understatement. If anyone can bring Wonder Woman to life is definitely her. Great review! Same here! I hope you enjoy it! Amazing review! I've had this on my tbr since it was announced. Thank you! Same here, anything Leigh writes, I'll read it. This is a fantastic review! You've managed to get me even MORE hyped for this Warbringer and I can't wait for it to come out!! Thank you! I'm glad you're even more excited to read it. I hope you love it! Man, your reviews are the best. I'm not that big of a fan of Leigh Bardugo, but you convinced me to add this book to my TBR. I'm so looking forward to reading this!! I'm SO excited for this book!!! As you should be, it's awesome! Thank you as always! Your wait is now over, I hope you love it! Brittany: I wanted to be able to easily send my librarian to this review. Problem: You haven't set it up in your Review links tables yet. Please do this so that all I need to give her is your main URL. Thank you for pointing this out, I'm sorry I'm only seeing this comment now. It has been added to my reviews page.